Another steady project complete. 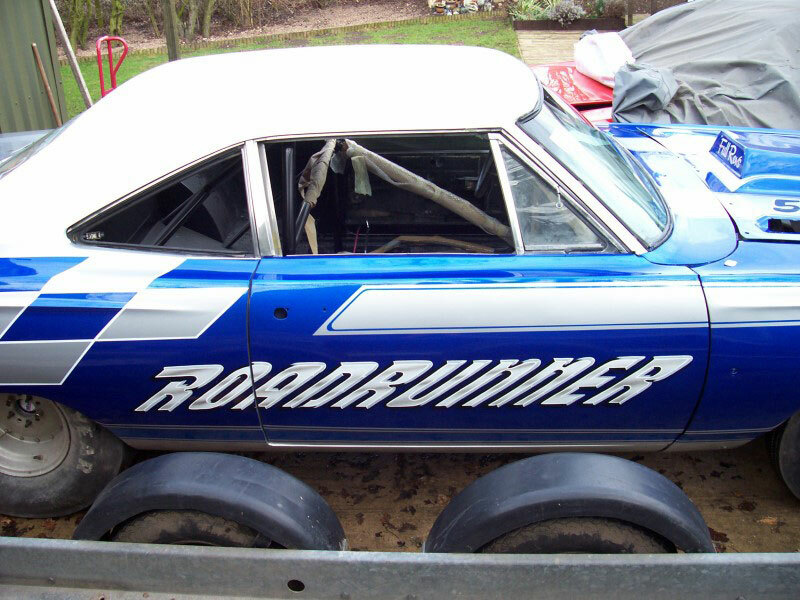 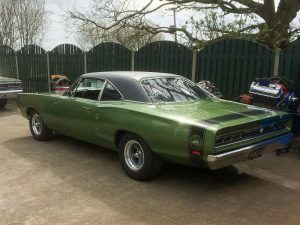 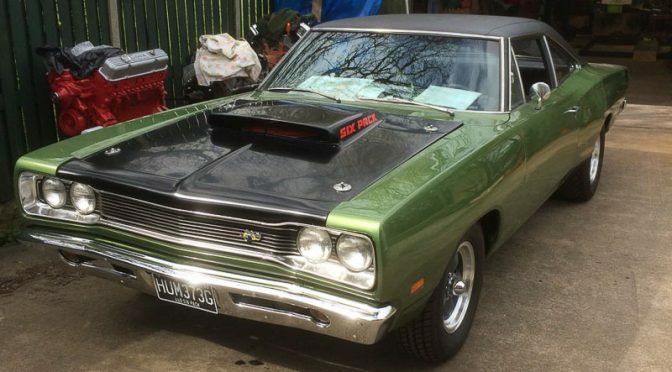 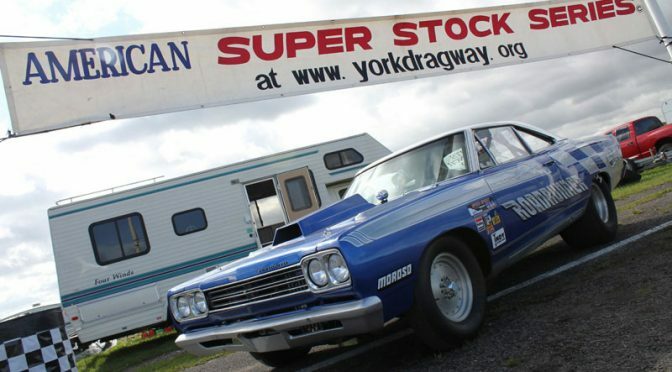 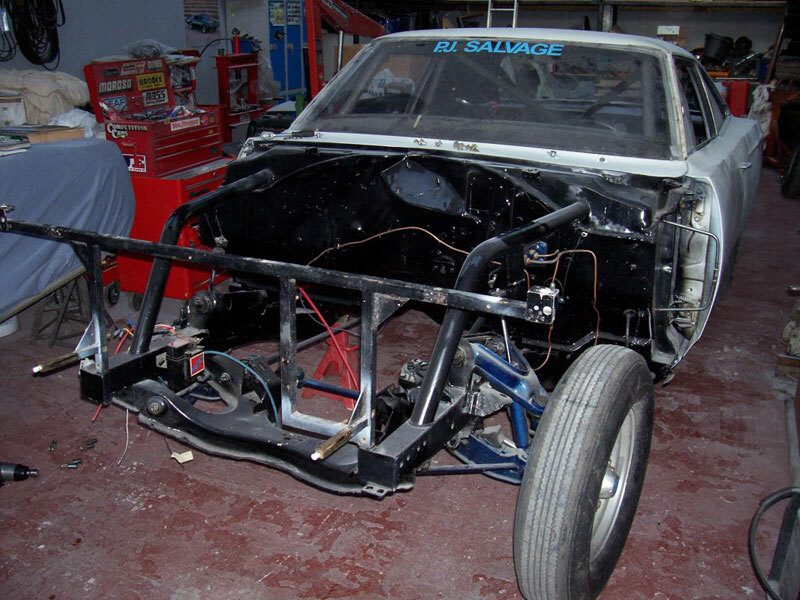 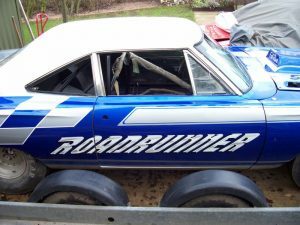 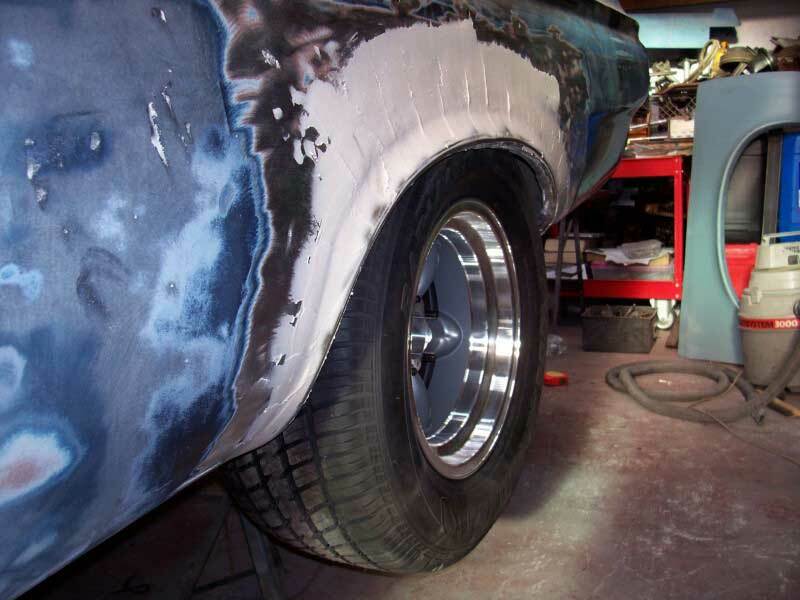 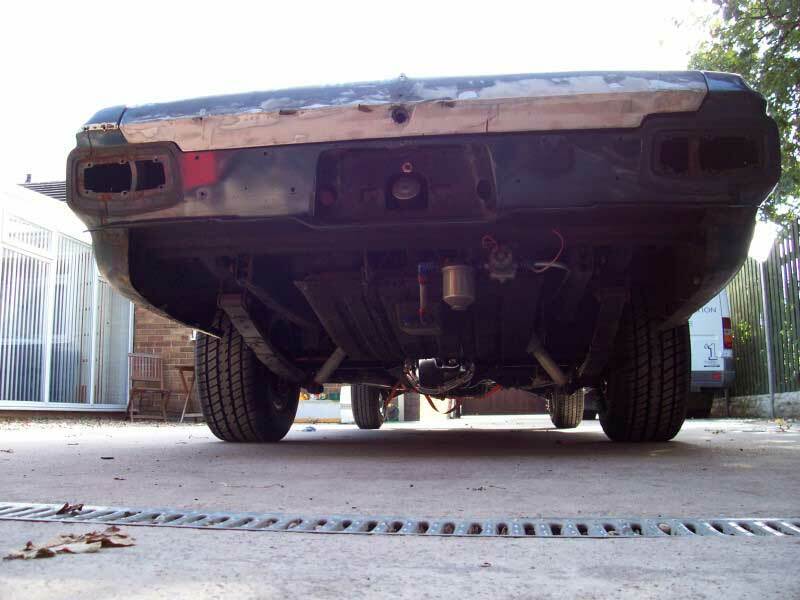 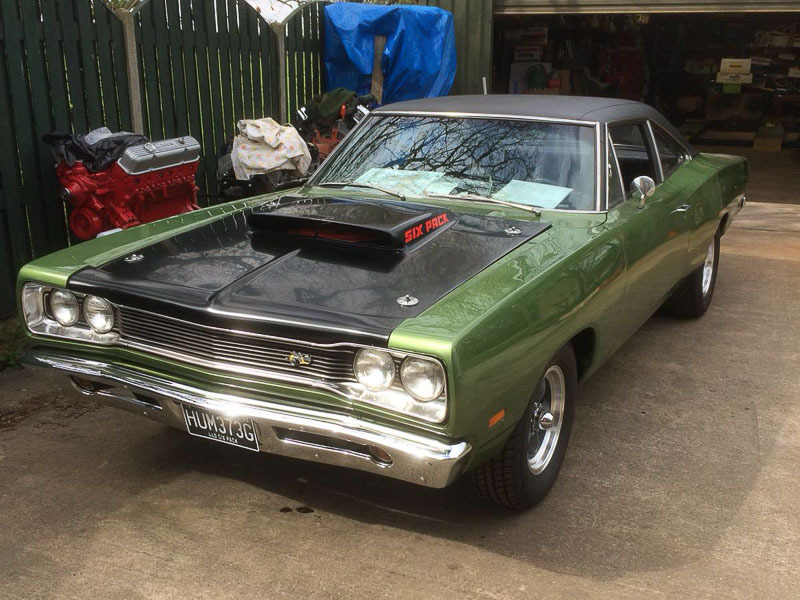 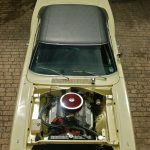 Here’s the ex Woody’s Wedge drag car returned to the street as a 440 Six Pack A12 Super Bee clone. 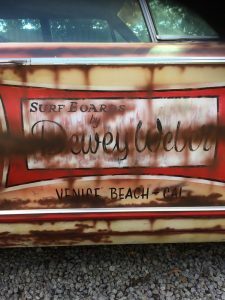 Project Surf! 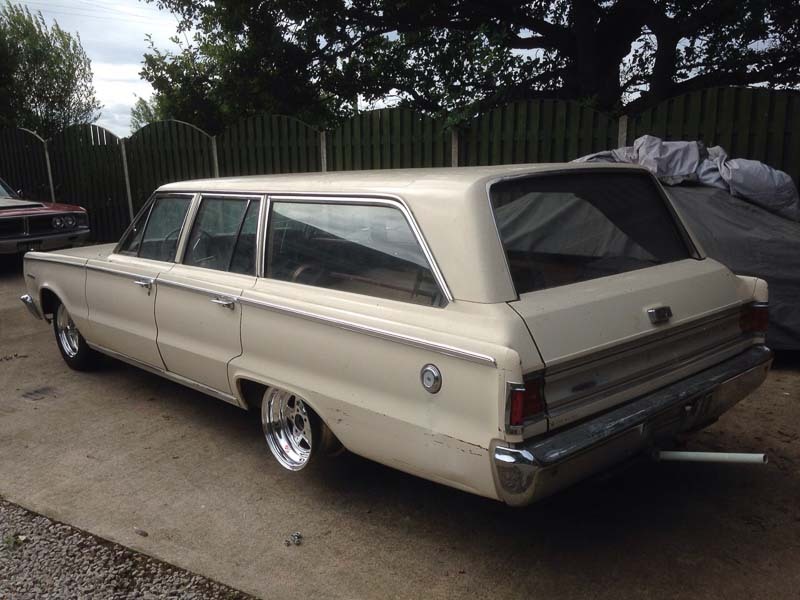 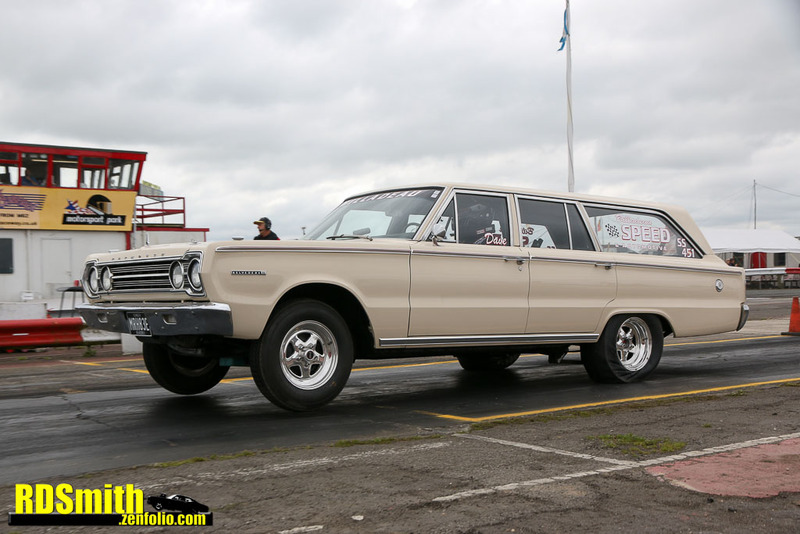 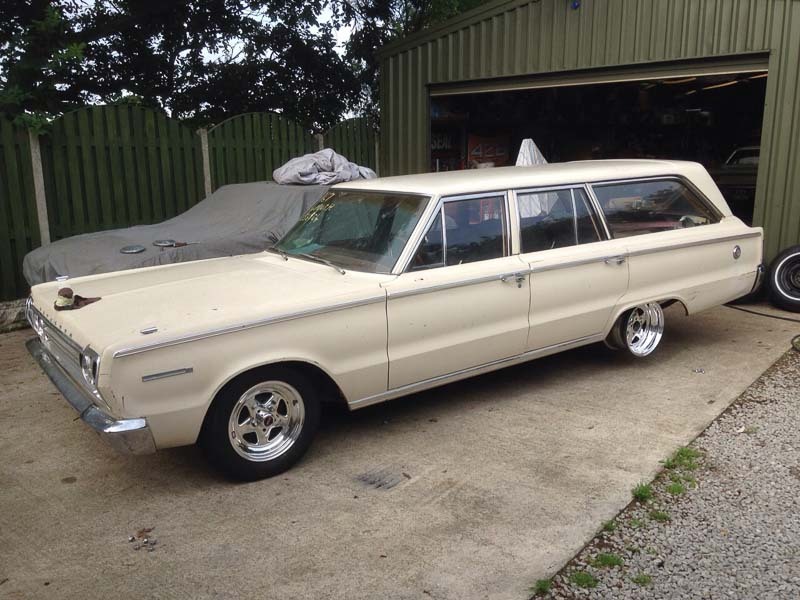 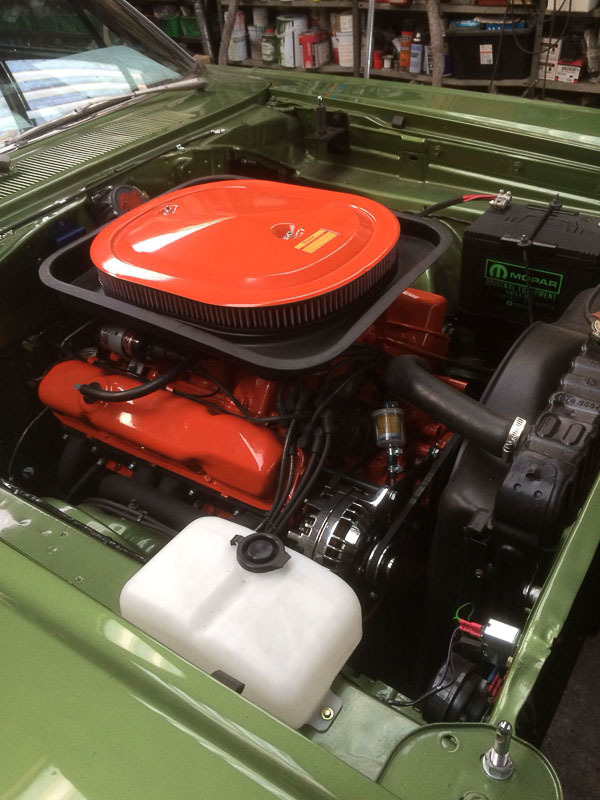 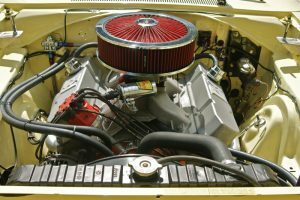 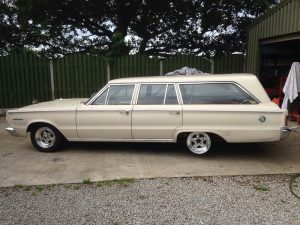 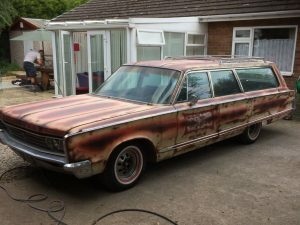 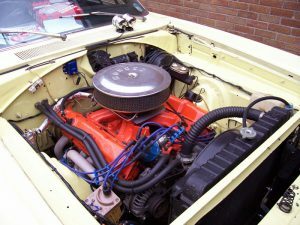 The station wagon’s 383 was fully rebuilt with an Edelbrock carb, new cam & lifters, rings & bearings and fully reconditioned heads. 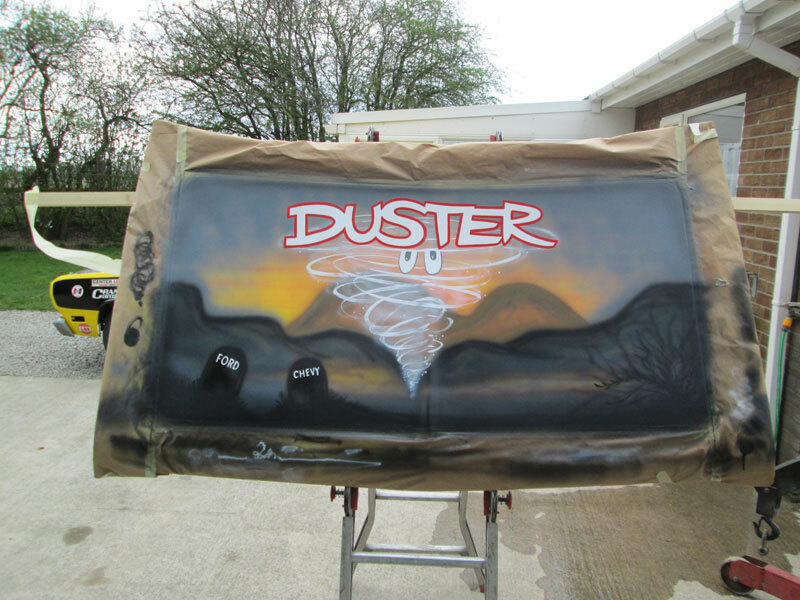 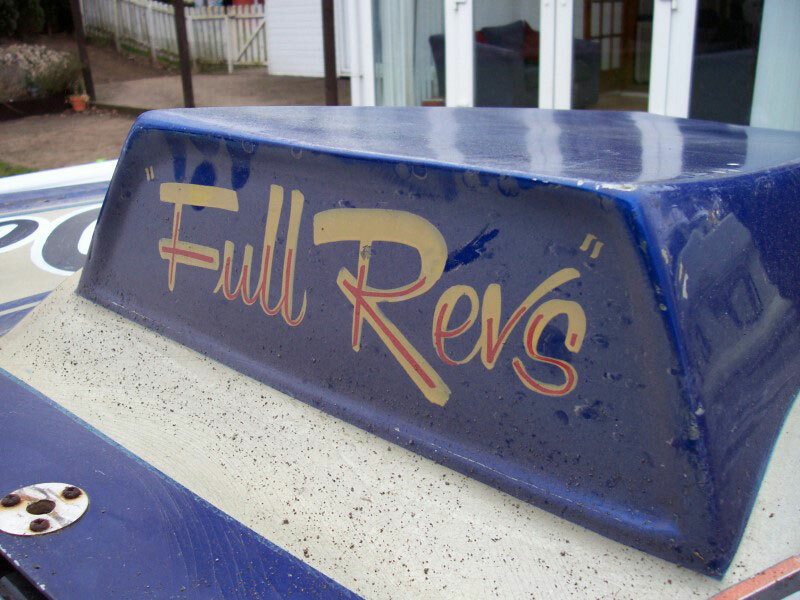 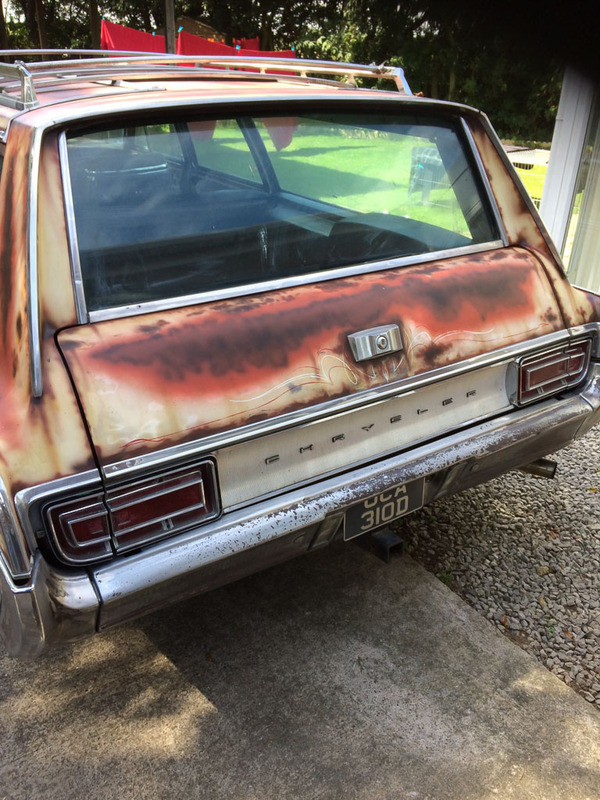 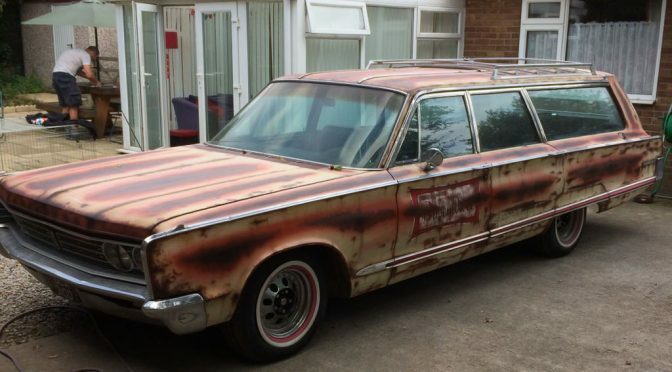 The car was then given a distinctive patina paint job, finished off with signwriting by Craig Ainge. 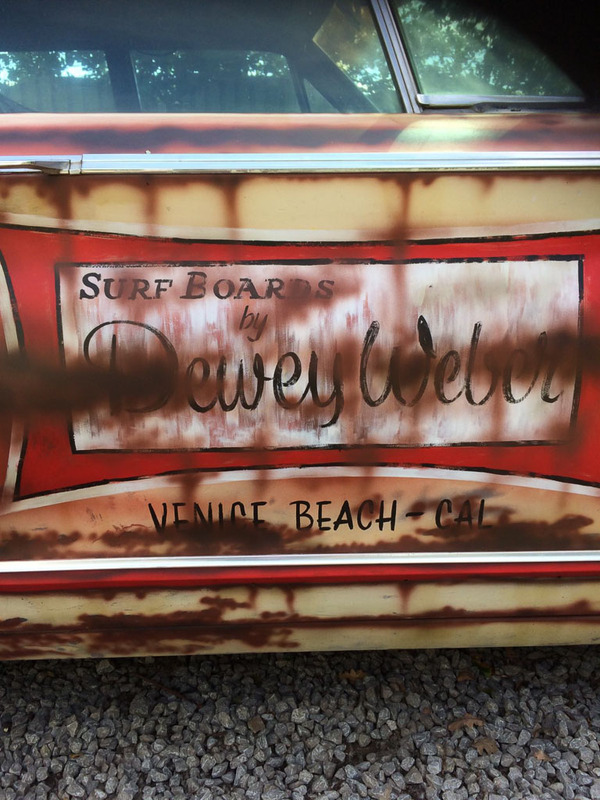 Roof mounted surf board on order! 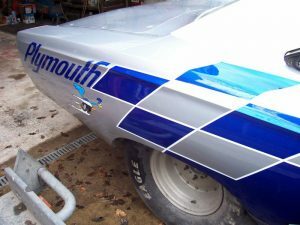 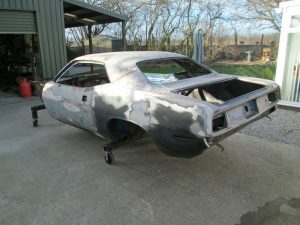 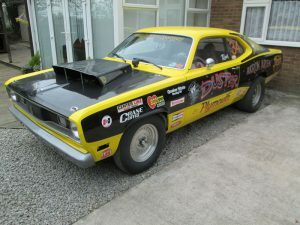 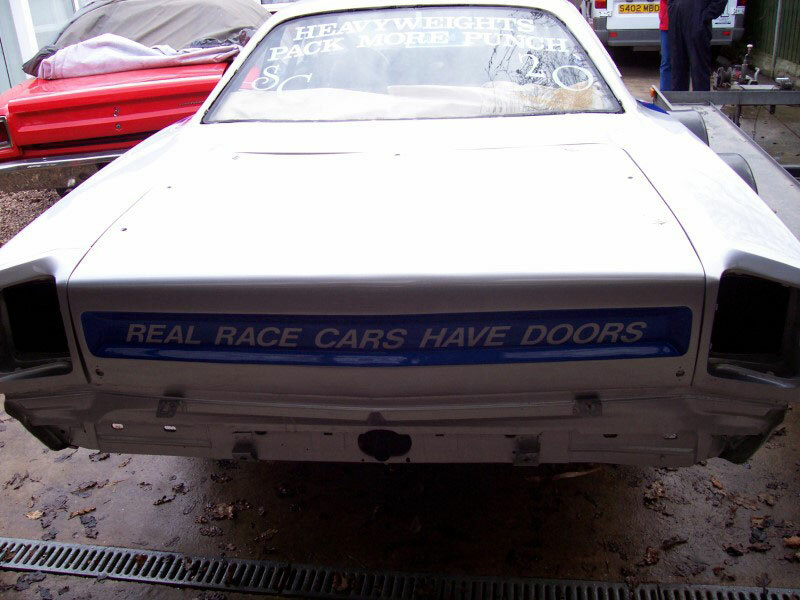 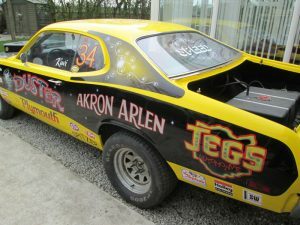 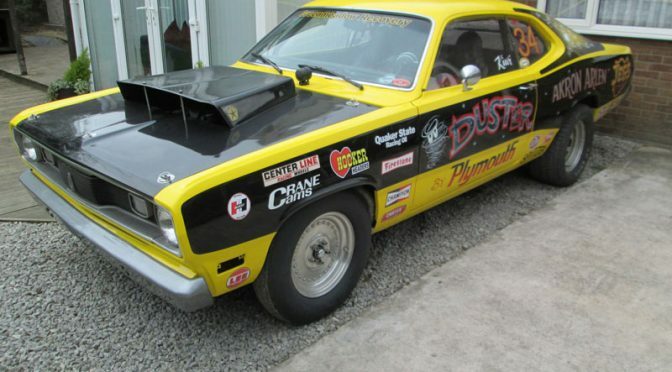 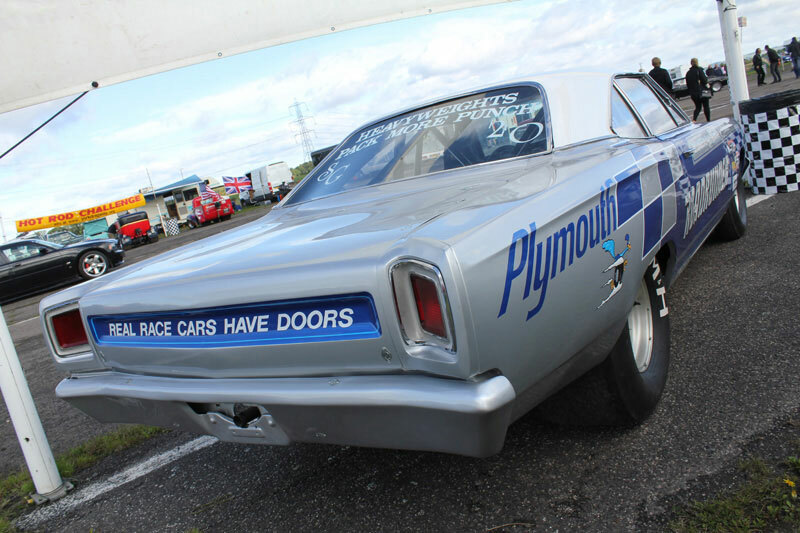 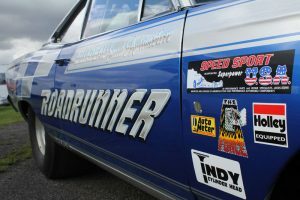 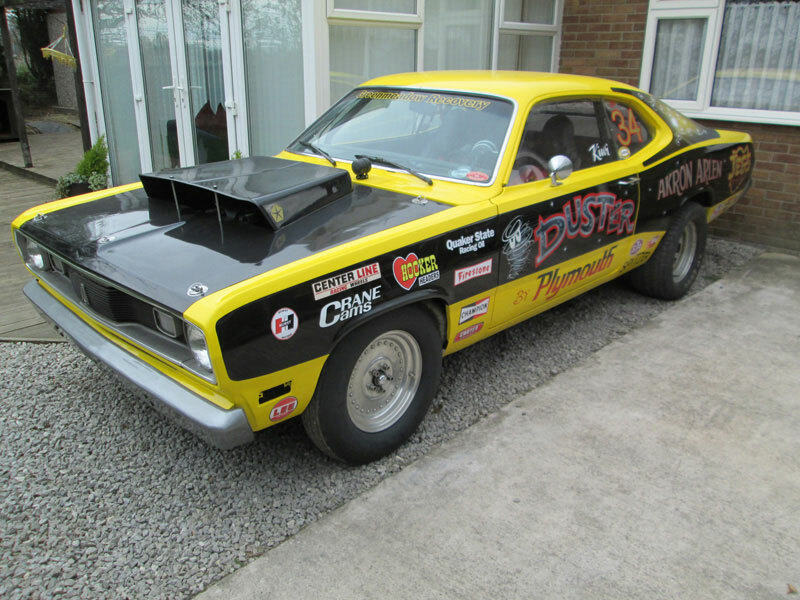 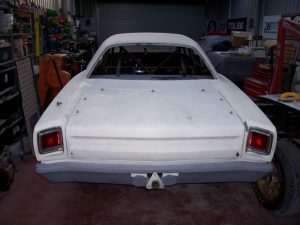 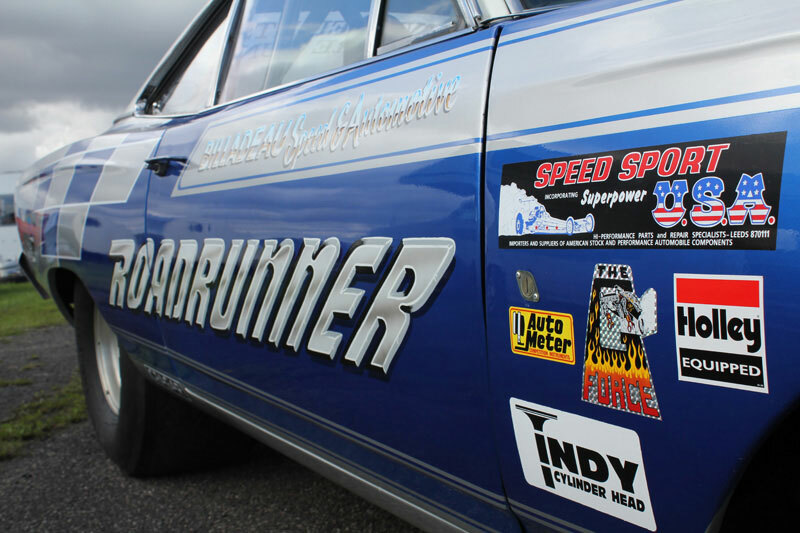 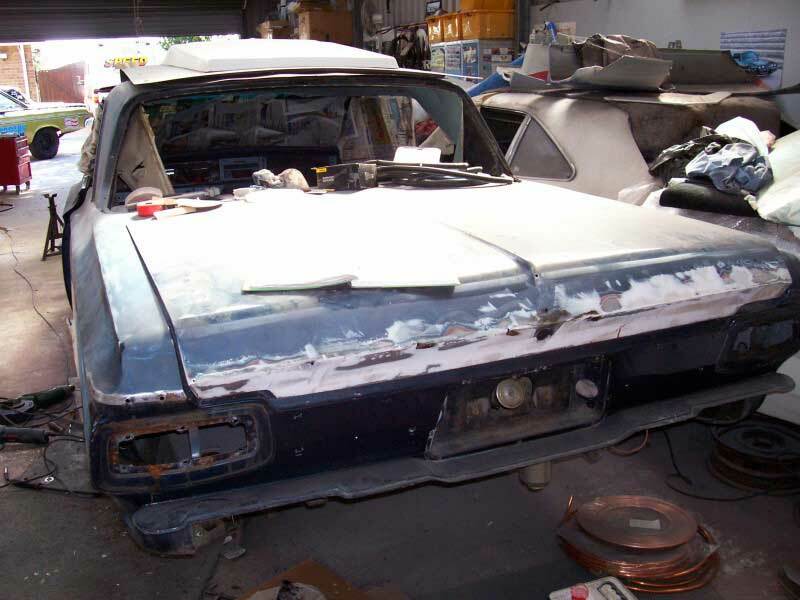 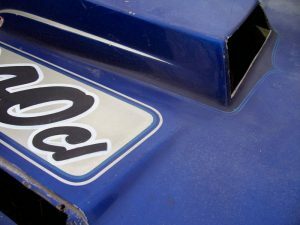 Kiwi’s Duster came in for a full paint job and signwriting as a replica of the car Arlen Vanke raced in 1971. 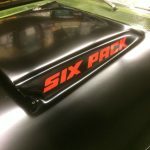 We also had the decals made. 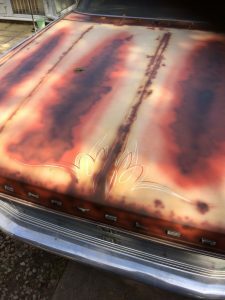 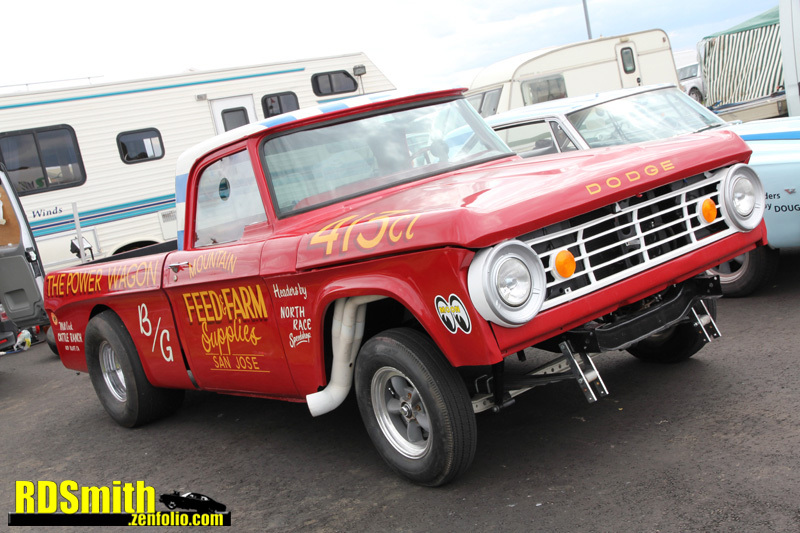 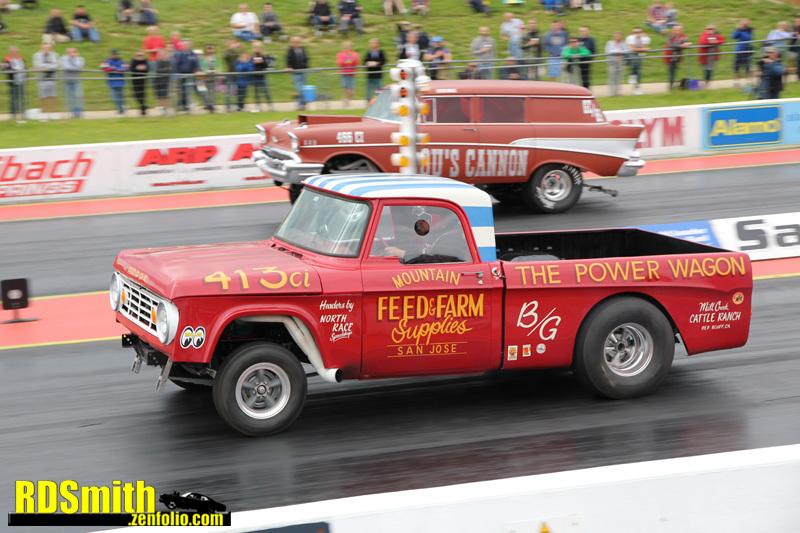 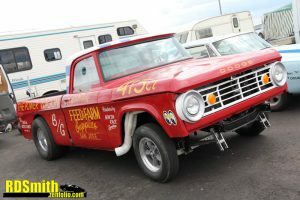 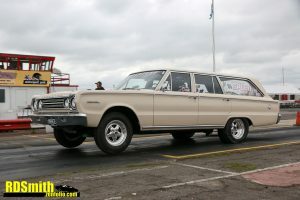 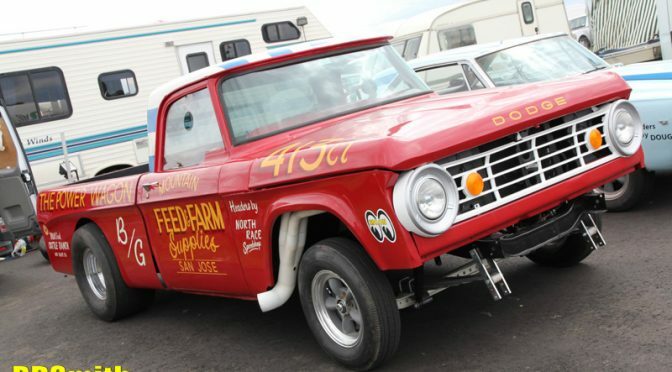 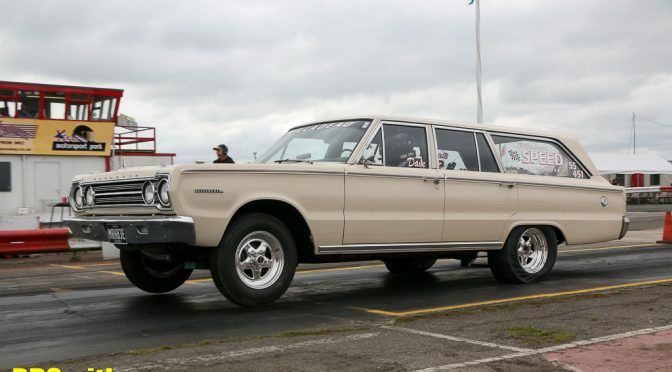 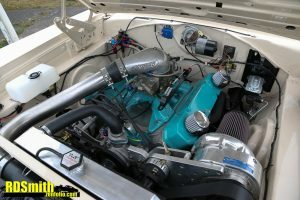 Tim’s Gasser Circus contender was given a full wiring job. 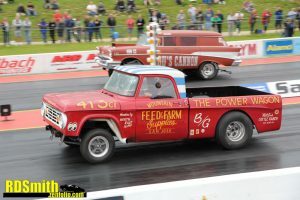 Billadeau Speed painted the stripes on the roof before Craig Ainge applied the signwriting to complete the trucks period style. 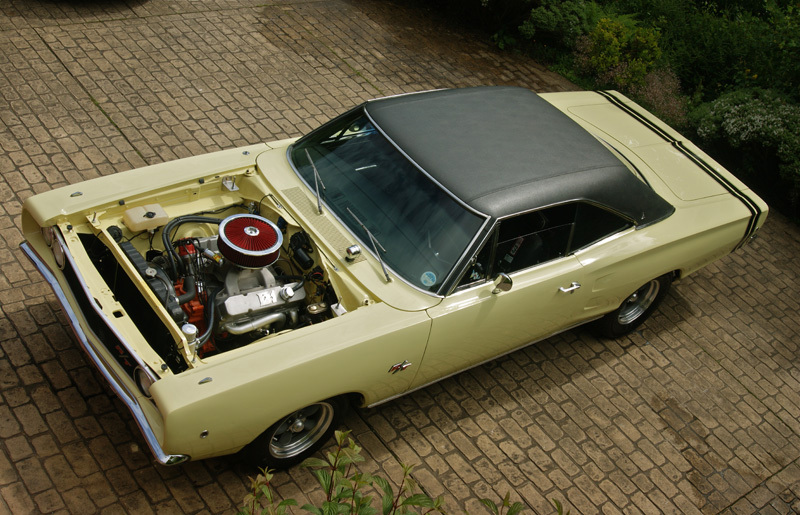 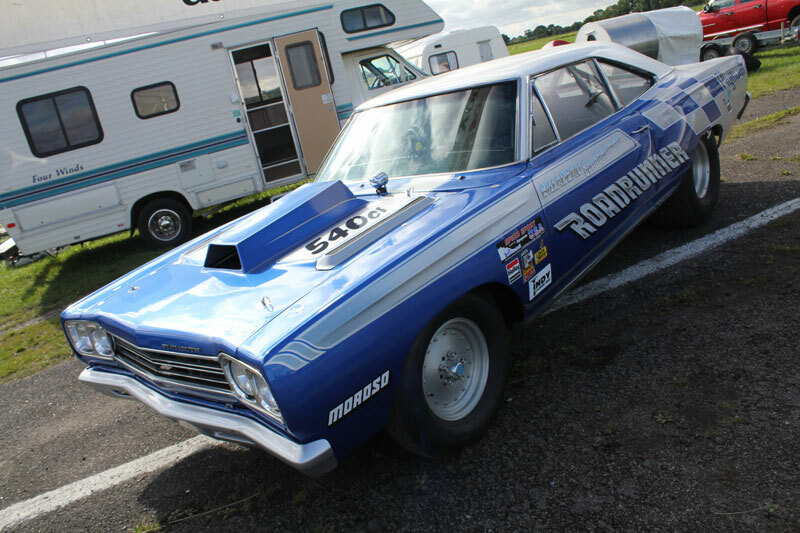 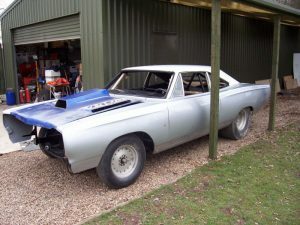 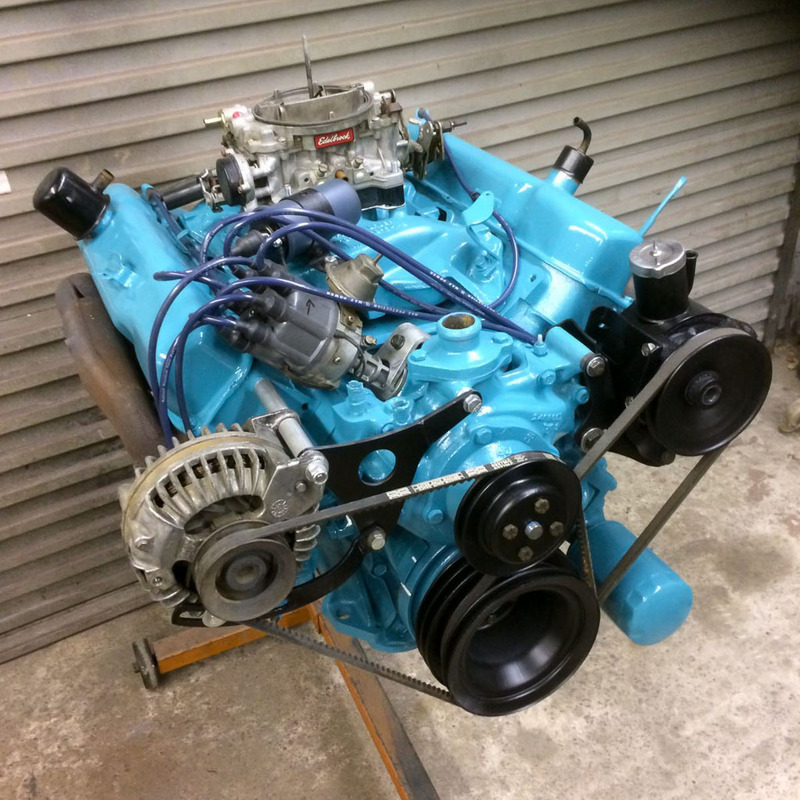 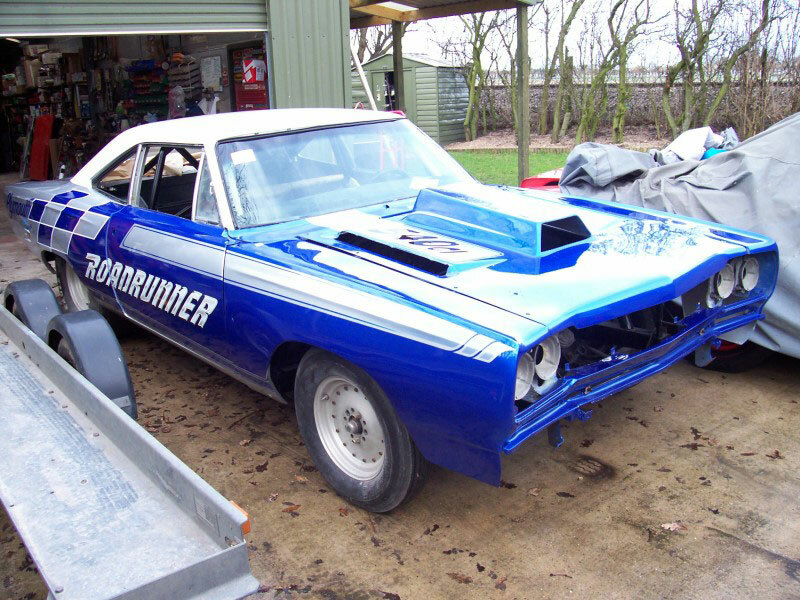 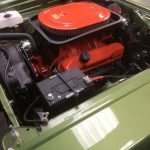 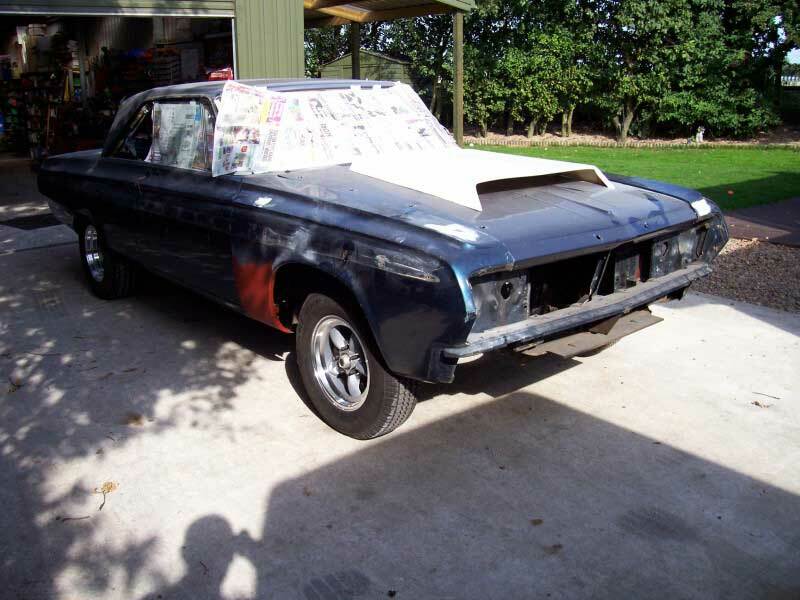 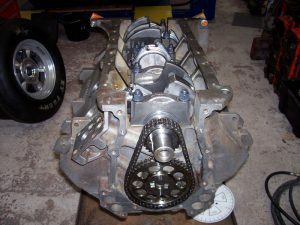 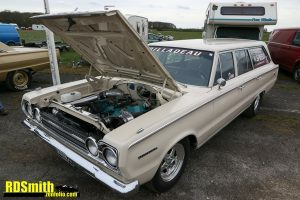 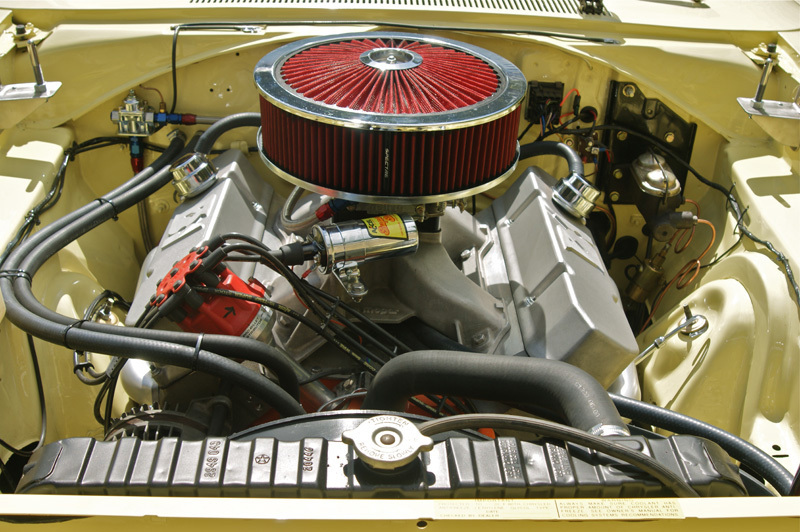 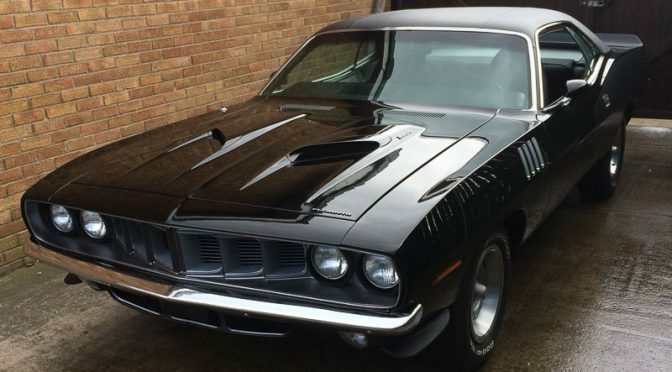 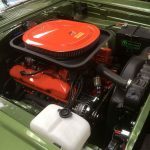 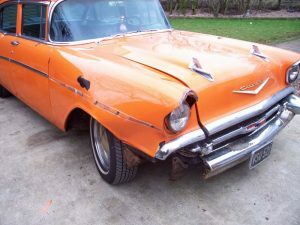 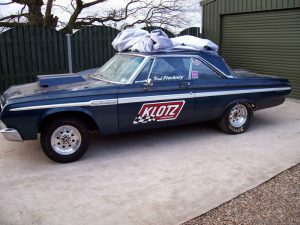 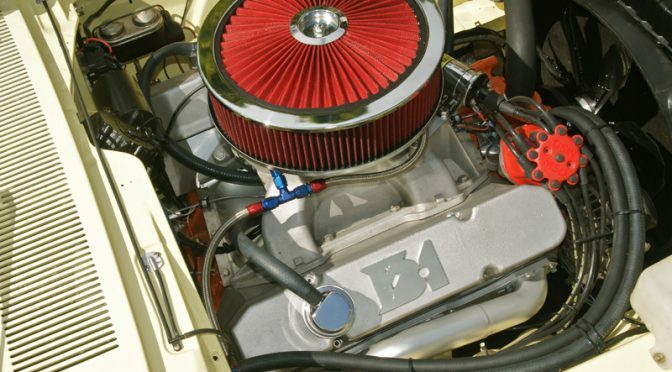 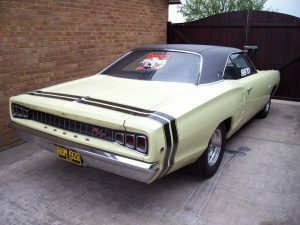 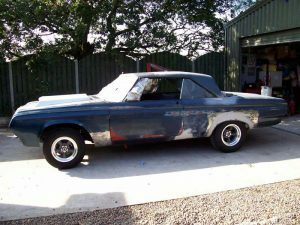 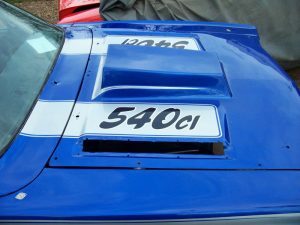 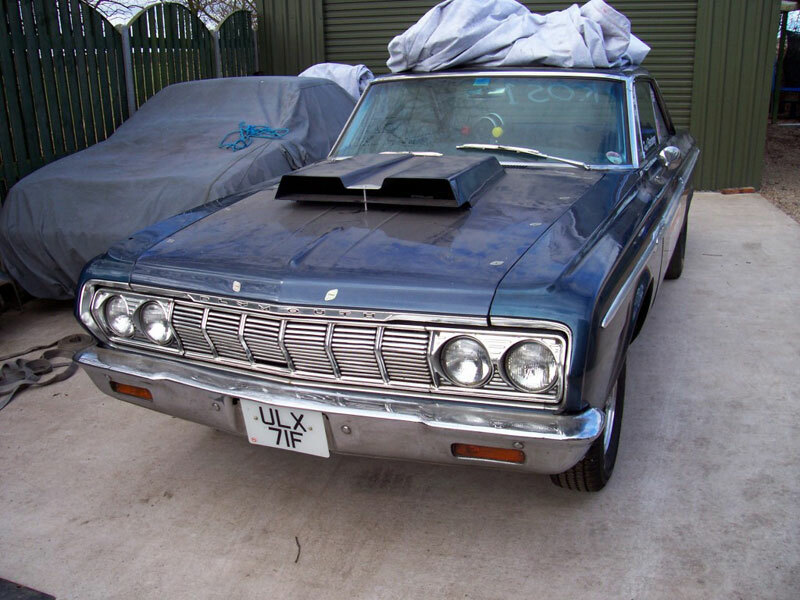 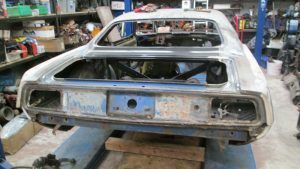 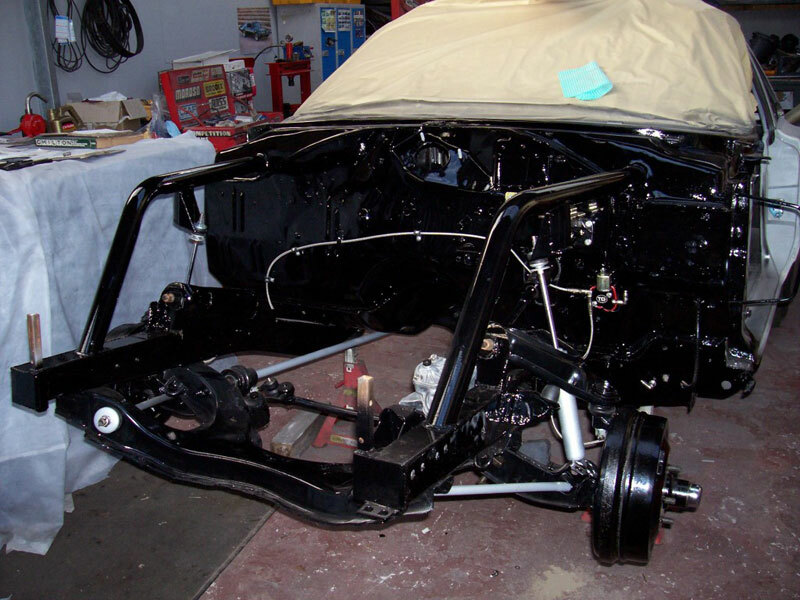 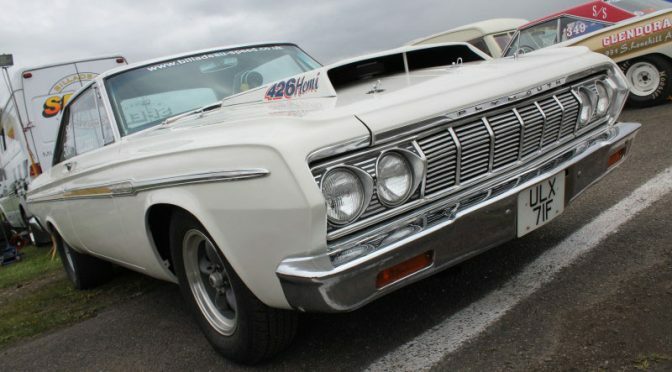 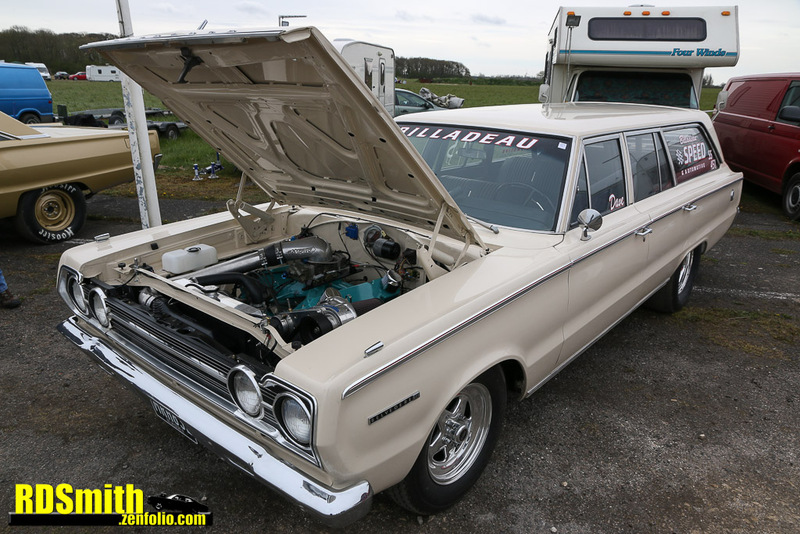 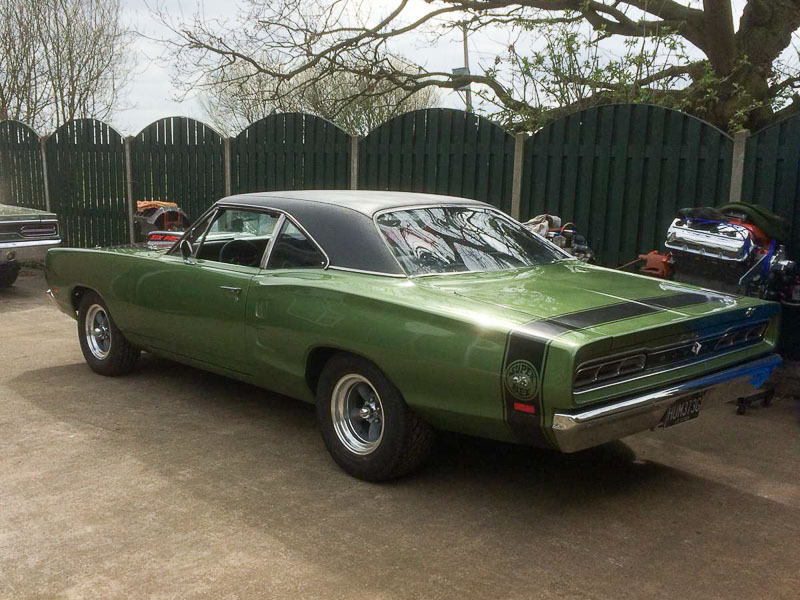 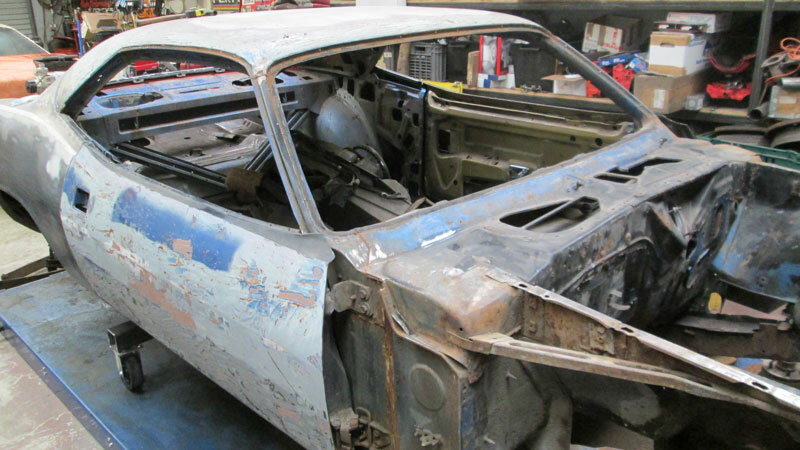 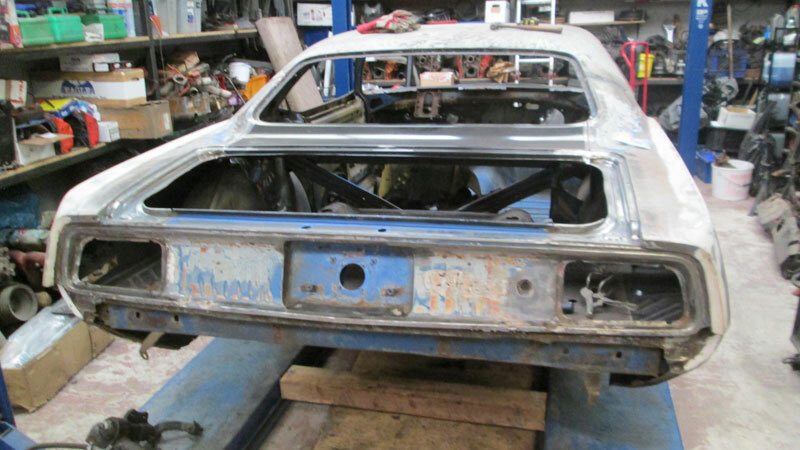 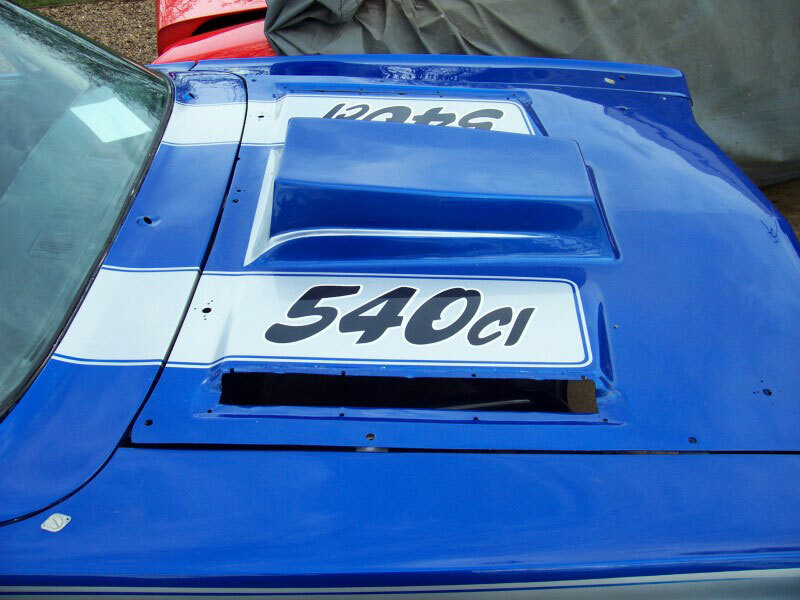 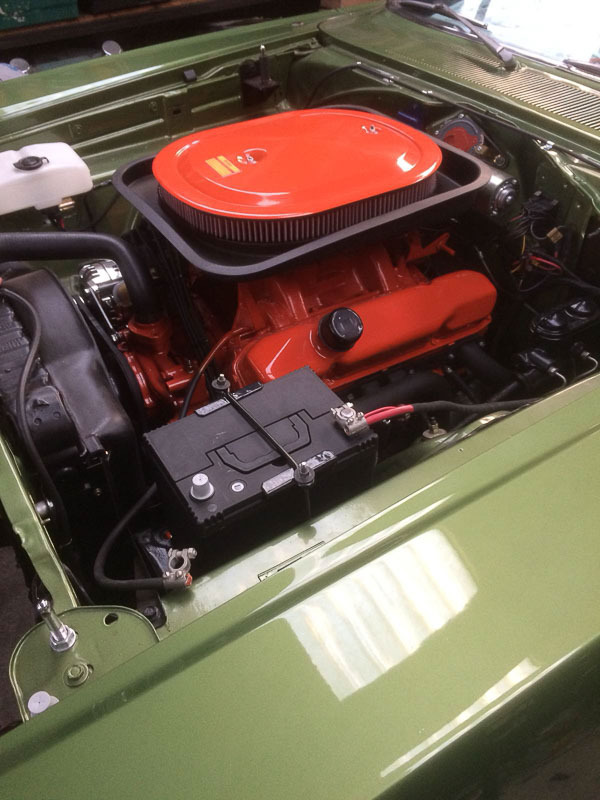 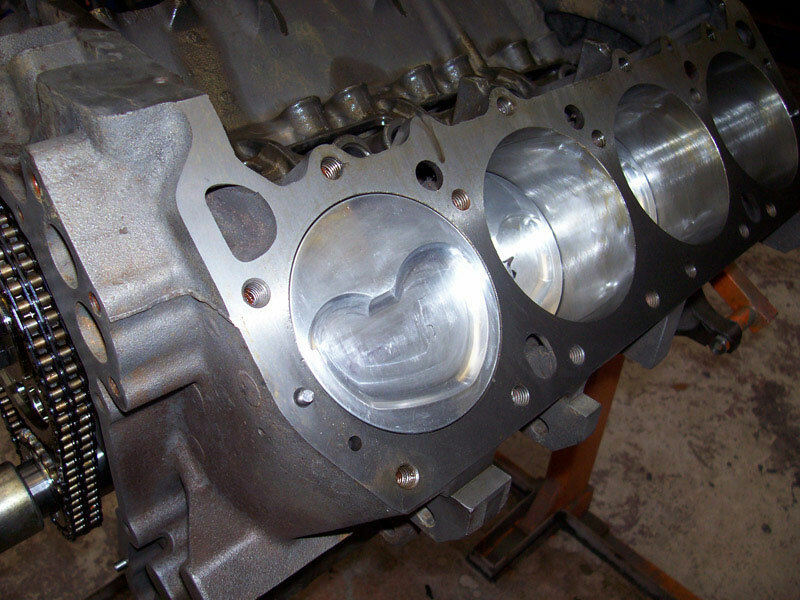 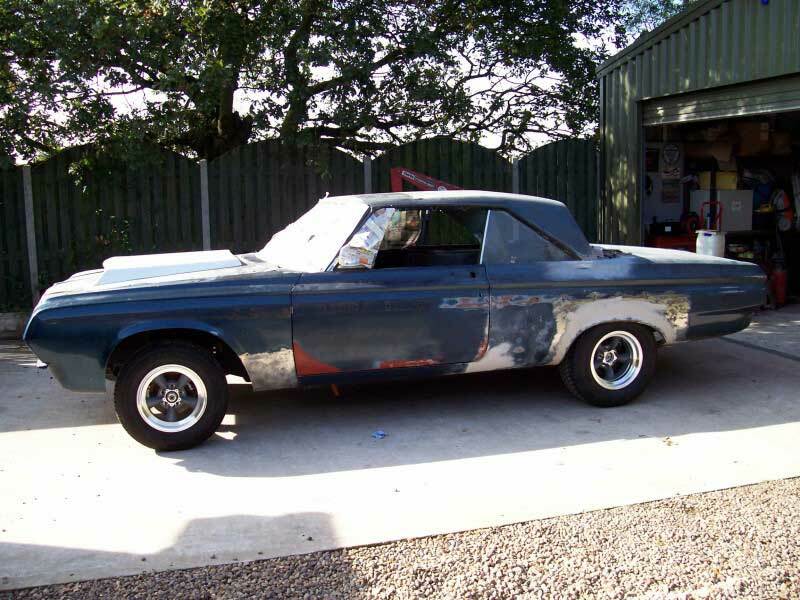 Howard bought a kit form 493ci engine for his Coronet and came to Billadeau Speed to complete the build. 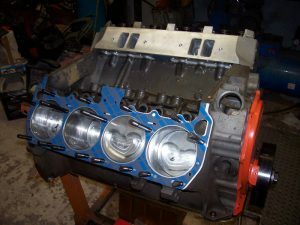 It featured a mild mechanical cam and B1/BS heads. 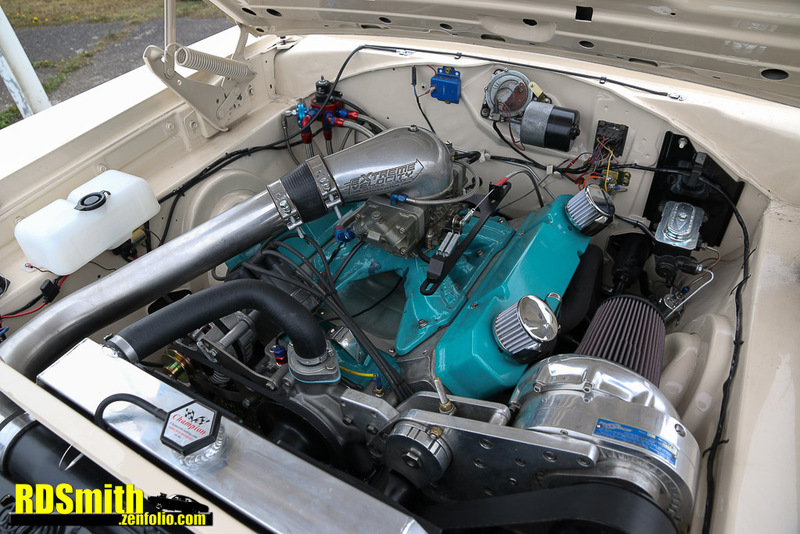 This produced 550hp on the dyno, with 600ft-lbs of torque. 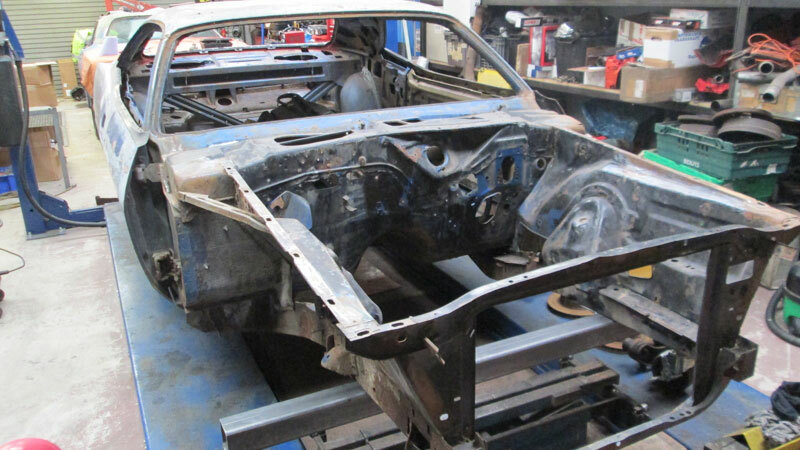 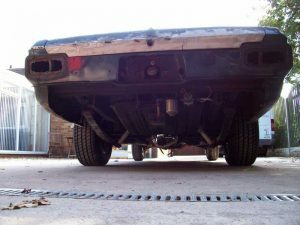 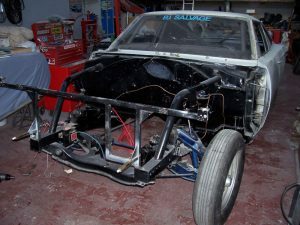 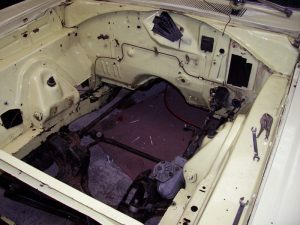 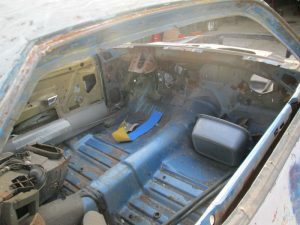 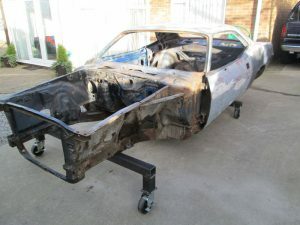 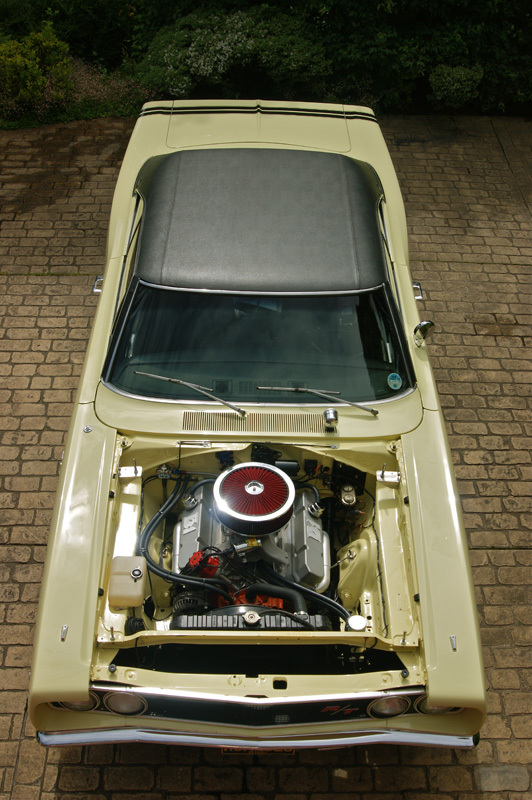 The engine bay was sandblasted, painted and rewired. 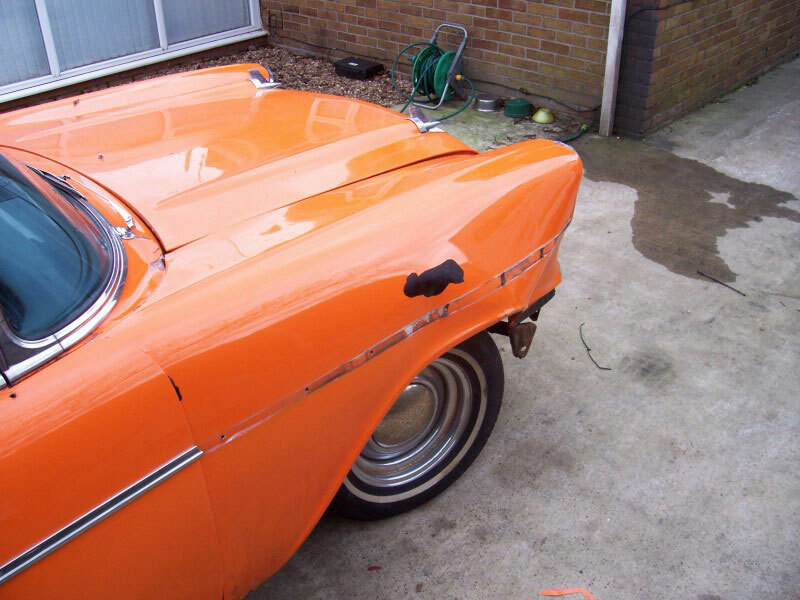 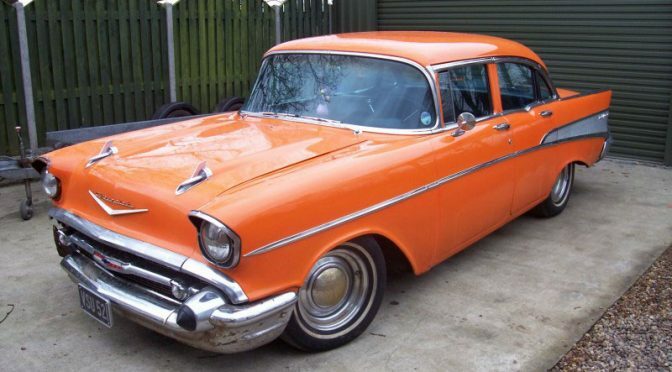 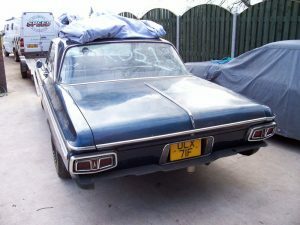 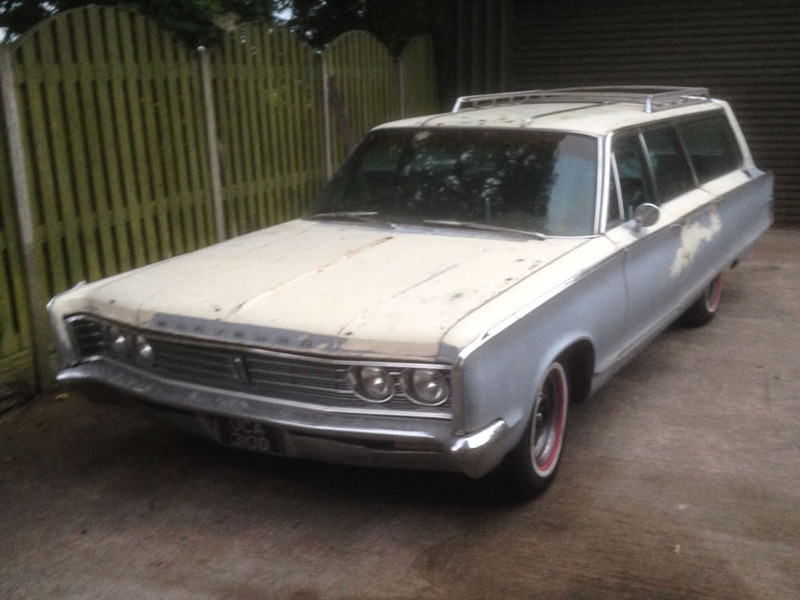 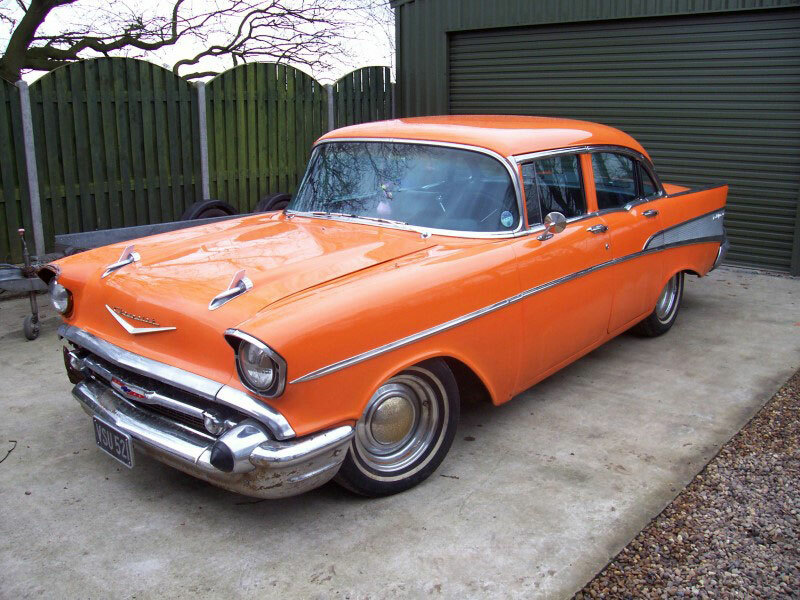 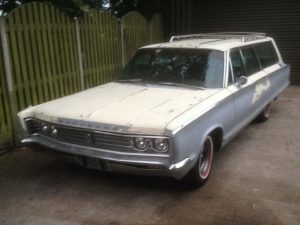 Other jobs included installing the centre console, fitting a fibre glass hood and upgrading the fuel system. 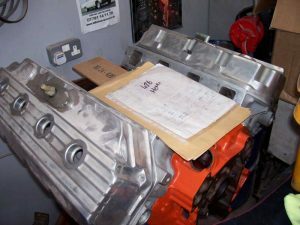 The propshaft was also upgraded to 1350 UJs. Howard’s photos below show the results.